Generally, during winters and autumns, we experience dry or chapped lips due to lack of moisture in the environment. So, there are lip balms made to moisturize an protect your lips from various weather conditions. There are a lot of brands like Burt’s Bees, Nivea, Maybelline, Himalaya, Lotus having different lip balms online. There are also various kinds of containers for lip balm which have attracted women in the country. Every different brand and different containers come with their own purpose. With all of the brands and containers of lip balm to choose from, which is the best one for you? So, here’s how we can help you to choose the best lip balm to protect your lips. 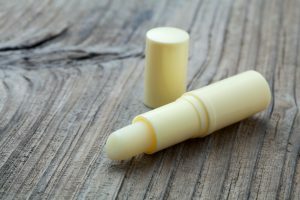 Lip balm is basically an ointment applied to the lips to moisturize and relieve chapped or dry lips, stomatitis, and cold sores. The purpose of a lip balm is to create a layer on the surface of the lip to seal in moisture and protect the delicate skin from external exposure. Dry air, cold, and wind draw moisture from the lips, and so lip balms protect the thin skin from drying out, chapping and cracking. 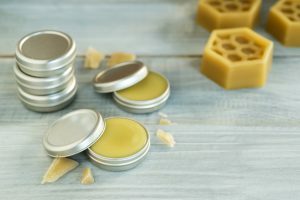 Lip balms are made with a variety of ingredients based around a waxy substance such as beeswax, carnauba wax, camphor, lanolin or paraffin which are known for nourishing your lips. Some varieties contain essential oils and flavorings, some contain sunscreens, and some contain various medicines, such as cold sore treatments. There are a few things which you should take into account before buying a lip balm. So, let us help you in choosing the right lip balm to suit your lips. You take good care of the skin on your face and body all year round, but some people forget to keep their lips moisturized, whatever the weather. There are mainly three types of lip balms according to the condition, “one that helps moisturize”, “one that prevents roughness”, “one that restores rough lips”. If you don’t feel any problem any problem on your lips it’s better to prevent your lips from getting dried up. Buy a lip balm which will help you moisturize your lips. Don’t wait until your lips are cracked before moisturizing them. On the contrary, hydrate your lips every day, so that they remain soft and supple. Generally, in winters, lips get dried and there may be cracks and roughness on your lips. To recover little-cracked lips use lip balms which contain such ingredients which can help you overcoming dried up lips and can help you restore the moisture to your lips. But, if you have badly chapped lips, your lip balms must contain synthetic or plant-based wax to remain firm, lipid butter or oils to protect, repair and soften the lips, moisturizing ingredients to form a protective film that preserves the lips and soothing agents. So, check before buying a lip balm according to you condition of lips. Lips have no melanin, which makes them more susceptible to sun damage caused by UV exposure. The sun rays can cause severe cracks, blisters etc. which makes it very important to protect your lips. In addition to the basic ingredients, lip balms can also contain an SPF to prevent UV rays from damaging the lips. So choose wisely as lip protection matters. Different types of container provide different ways for its application. You can get a lip balm in the form of a tube or contained in small boxes. It depends on you how you prefer to apply the balm. But when it comes to protection, a tube one can pay better as germs can’t propagate from your hands to the lips. So, choose the one which will satisfy your needs. Now let’s have a look at the most recommended top 10 lip balms. Natio Aromatherapy’s Moisturizing Lip Balm comes with an SPF of 30+ and remains water resistant for about 4 hours, which makes it a great choice for swimmers. It helps protect your lips from the harmful UV rays of the sun and is enriched with aromatic essential oils which help keep your lips feeling soft, hydrated, and supple. This product contains the goodness of vitamin E and aloe vera which glides on your lips and moisturize it. It comes in an efficient stick-tube packaging and it has a pleasant and refreshing fragrance. 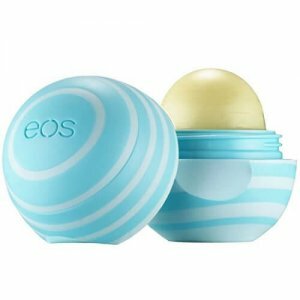 EOS is a naturally flavored Lip Balm with antioxidants and vitamin E. It also is enriched with natural oils that condition your lips and the SPF 15 present protects your lips from harmful rays of the sun. It has shea butter and is totally free from Paraben, petrolatum, PABA, and phthalate. This lip balm is recommended for its long-lasting power. Women who work for the whole day in sharp sunlight must try this product. Moreover, its natural essence also makes it a good choice for people with sensitive skin. A Moisture-Rich Formula with SPF 15. 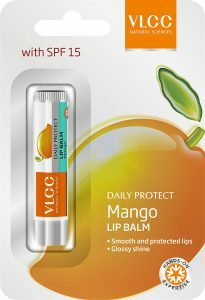 The VLCC Daily Protect Lip Balm soothes and conditions your lips, keeping them soft and supple. It is a light, non-greasy formula which provides long-lasting moisture, leaving the lips hydrated for a long time. Its SPF 15 formula protects your lips from harmful rays of the sun and this is a good choice for women working in daytime for long hours. Also, this product provides a tint of shiny color to your lips with a good fragrance. Lotus herbals lip therapy is a 100 percent natural product with highly active moisturizers that repair dry lips. With SPF 15 it protects your lips from harsh weather. Shea and kokum butter makes your lips smooth, healthier and full of life. This Lotus’ lip balm protects your lips from sun’s damaging rays and prevents darkening of lips. If you usually do outdoors in harsh weather conditions, this product may help you in a good way. The lip balm from Avon Naturals has a pleasant strawberry flavor and a sober, light-pinkish tint and gives petal-soft lips quite magically. It’s a non-sticky lip balm that does not cause any discomfort and relieves you from the pain of dry lips. If you have pain giving dried lips, this lip balm is sure to relieve you. This lip balm locks in maximum hydration in your lips and contains sunscreen to protect your lips from darkening. This Avon’s lip balm will stay and protect your lips for 25 hours. 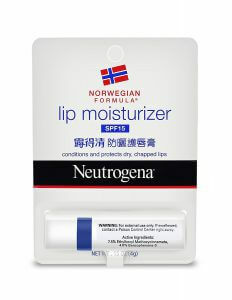 Neutrogena’s Norwegian Formula Lip Moisturizer helps in smoothening and protecting dry lips. The SPF 15 formula offers sun protection including protection from UVA and UVB rays. It helps hydrate dry lips and has a fragrance-free and colorless formula. It is a good choice for those who don’t prefer strong fragrance and like a natural finish. This lip balm has an efficient stick-tube packaging which glides onto your lips very smoothly. It soothes dryness and does not feel waxy on your lips. Maybelline Baby Lips Color range took the whole world by storm. Almost every woman owns or has owned one of these babies, and for a good reason. The lip balms help keep your lips moisturized while leaving a subtle tint. The balm protects your lips from the sun with its SPF 16 formula and leaves your lips feeling soft, supple, and instantly moisturized. 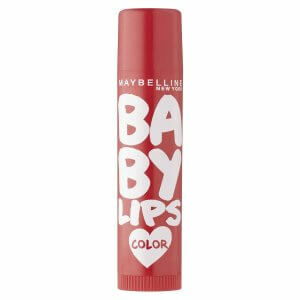 Maybelline offers a variety of colors to choose from, it is recommended to people who want a subtle tint on their lips. It has a pleasant fragrance and it glides onto the lips quite easily. Visit Amazon for more details. 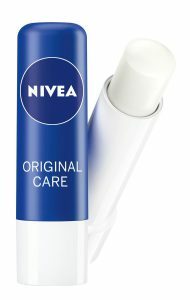 Nivea’s Original Care Lip Balm claims to provide your lips with 12 hours of moisturization. It helps prevent moisture loss while efficiently protecting your lips from extreme weather conditions and keeping them from drying out. This unique weightless formula leaves your lips feeling smooth and soft without any artificial color. It helps in hydrating your lips with an easy to use tube-stick packaging formula. This lip balm is a little more greasy and hence it is proved to be helpful for badly chapped lips. 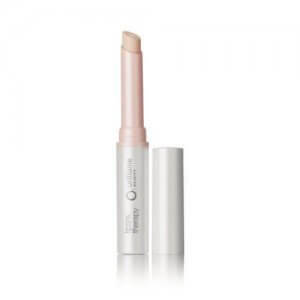 Oriflame Beauty Lip Spa Therapy is known for its incredible moisturizing quality. It protects your lips from the harsh rays of the sun with its SPF 8 formula. If you are troubled with dry lips and your dreams for an amazing moisturizer you must try this product. This Oriflame’s lip balm provides instant relief for dry lips and prevents water loss. 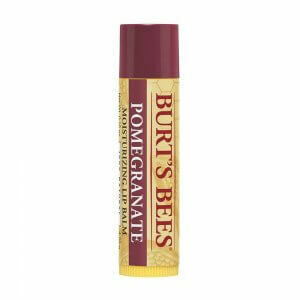 Burt’s Bees’ Pomegranate Moisturizing Lip Balm is enriched with the goodness of pomegranate oil and its high antioxidant content. The balm is made out of 100% natural ingredients and helps hydrate and revitalize your lips. It claims to leave your lips feeling soft and moisturized with a hint of color and the sweet flavor of pomegranate. If you work outdoors in harsh weather and still have a desire of pleasant fragrance you must try this lip balm. The Burt’s Bees’ lip balm helps in repairing chapped lips while keeping them hydrated. It has a soft and smooth texture that feels great on the lips. It has a pleasant fruity fragrance which makes you feel good. This was all you would need to buy the correct lip balm. Protecting your pout has never been easier, and with this list of lip balms, you can say goodbye to dehydrated and chapped lips. Especially in summer days, it becomes a quite difficult task for you to protect your lips. So keep these points in your mind and choose the most suitable lip balm and stop dry air, cold, and wind from drawing moisture from the lips, and protect the thin skin from drying out, chapping and cracking.